The U.S. Consumer Product Safety Commission (CSPC) late Thursday issued an official recall of 1 million Samsung Galaxy Note 7 smartphones. Samsung had issued its own recall Sept. 2, but there was no formal recall in cooperation with the CPSC until now. 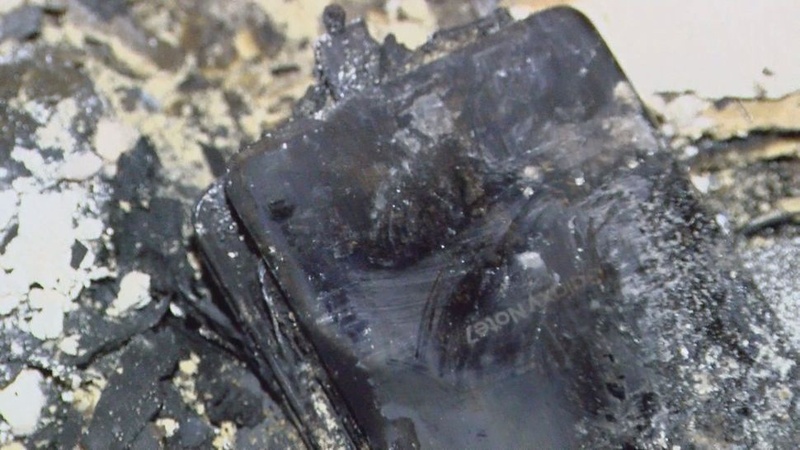 The recall is necessary because the Note 7 "presents such a fire hazard," Elliot Kaye, the CPSC chairman, said in a news conference. Kaye said customers subject to the recall have two options: either to seek a replacement or a refund, "which is the choice of the customer and the customer alone." The CPSC indicated on its website that when a customer receives a new Galaxy Note 7, it will come with a different battery than those suspected of causing fires. Some replacement batteries in Note 7 phones have reportedly worked safely in other countries. Samsung's own recall discussed only the possibility of an exchange for another Note 7 or a Galaxy S 7 or Galaxy S 7 Edge. The CPSC last week urged Note 7 customers to power down their devices over the fires. "This week's message is to refund or replace," Kaye said. Based on videos and photos of the damage that the fires can cause, he urged consumers to "take advantage of the recall right away, as we've seen these phones can present a fire hazard." Authorities in Horry County, South Caroline suspect the Galaxy Note 7 may be the cause of a devastating house fire. He said consumers wouldn't be able to swap out the battery in the Note 7 to prevent the fire hazard. "It's in the phone and that requires a new phone or a refund." He said Samsung's decision to issue its own recall before reaching out to the CPSC was "not a recipe for success," but didn't elaborate about whether the agency planned any action against Samsung. Kaye also didn't elaborate on whether Samsung has provided safe replacement units of Note 7 devices. Some customers have complained about not being able to get replacements. Kaye mentioned that 1 million phones are subject to the recall, while reports have indicated that 2.5 million Note 7 devices have been sold. Customers should seek a refund or replacement from their carrier or Samsung directly, Kaye said. Samsung previously listed phone numbers and emails for five major carriers in its Sept. 10 statement, which urged customers to power down and not charge the phones. Samsung listed how to find the IMEI or serial number on the affected Note 7 phones and how to check it online. The serial number is located at Apps>Settings>About Phone or General Management> Status>IMEI Information or Serial Number. Kaye said customers should also check the back of the phone for the serial number. Samsung can be reached at 1-844-365-6197 if customers bought the phone from Samsung or if they have other questions. A Canadian government agency issued an official recall earlier this week.